Muvhango is a South African Venda-language primetime soap opera created by Duma Ndlovu, produced by his Word of Mouth Productions company and inspired by the real-life story of the former Chief of Thate in Venda, which incorporates and reflects township and Sowetan life. The series premiered on SABC2 on Monday 7 April 1997 and began life as a 13-episode drama series, broadcast weekly, set in the city of Johannesburg and Thathe village in Venda. After three seasons the series became a soapie and it was broadcast three nights a week, Monday to Wednesday. On 5 April 2007 - the 10th anniversay of the show - Muvhango began broadcasting four nights a week. It changed to five days a week from March 2014. The first season and episode of Muvhango kicked off with Mashudu Mukwevho, a successful businessman and a chief in waiting, dying of a heart attack, leaving his two very different wives Catherine, who he is legally married to, but generally regarded as the second wife, and and Vho-Masindi, his traditional customary wife, fighting over the rights to bury his body. Mashudu's death set in motion a chain of irreversible reactions that pitted the two wives against each other. The 13 episodes of Season 1 revolved around the many court cases and counter court cases between the two wives as the courts struggled to determine who had the rightful claim over Mashudu's body... the wife with the legal document or the traditional customary wife? This question was at the heart of Muvhango as it epitomized the struggle between the West on the one hand and African customs and traditions on the other. The show became a true reflection of the South African society with elements of culture, tradition, superstition and witchcraft infused into the characters' lives. The show popularised the Venda culture, the main language used in the series. Being a minority cultural grouping in South Africa, it remains exotic and mystical. Who can forget the scene of Mashudu's coffin almost exploding as it was being lowered, resulting in the funeral being called off, and the matter of who would bury Mashudu unresolved? Muvhango returned for a second season in 1998 and it had already become a township and village anthem, catapulting its actors to superstardom. Season 2 focused on Mashudu's legacy. Catherine Mokoena, his city wife with whom he had two children, Edward and Agnes (who later is revealed not to be his child), and vho-Masindi, his traditional wife with whom he had 3 children, Azwindini, Lufuno and Tshianeo, were entangled in a bitter fight over Mashudu's estate. The Mokoena family, from Catherine's side stood firm to defend her. The Mukwevho family sided with Vho-Masindi, whom they saw as the legitimate wife and her son Azwindini. The Mukwevho versus Mokoena feud was born and still plays out in full rage. Mashudu was a chief in waiting before his untimely death. Season 2 brought the issue of the chieftaincy battle to the fore...who was to succeed Mashudu as the chief of Thathe village? Mashudu had two sons, Azwindini and Edward, making them both eligible for the throne. There was a third element of Vho-Mukondeleli who believed that her son Lambani was the rightful heir to the throne. The battle lines were drawn. Azwindini was eventually deemed the rightful heir to the throne by the Mukwevho family elders after lots of debate and conflict. Those are the elements which have endeared the show to the viewers and grew its popularity. Azwindini's coronation as chief of Thathe was one of the show's defining moments. When Muvhango went to Season 4 it had already proven itself as a high end television commodity to the broadcaster, with massive viewer ratings. The show moved from location to studio. The SABC's Henley studios became the new home of Muvhango and it was broadcast three nights a week, Monday to Wednesday. The show also made a smooth transition from drama to serial or soapie in terms of storylines. The show has infused the elements of the modern day soap-opera and high drama together to create a realistic representation of the South African society. The stories revolved around the timeless love triangle between Edward Mukwevho and the two women in his life, the scheming and manipulative bad girl Doobsie Khumalo and the true love of his life Thandaza Buthelezi, the ill-fated and beautiful good belle. The Mukwevho and Mokoena family feud rose to prominence. Muvhango's classical moment was Edward's wedding day to Thandaza. They had finally made it together after scheming attempts by Doobsie to keep them apart. However Edward ended up being tricked into marrying Doobsie when both brides showed up in church, both in wedding gowns! Edward finally managed to get together with Thandaza and again they set a wedding date. On the day, Edward met his untimely death minutes after the traditional "I do" vows. 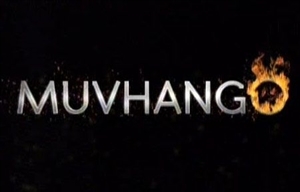 5 April, 2007 saw Muvhango grow from being broadcast three nights a week to four nights a week. The stories still reflect the Venda village life and the city life in Johannesburg. The elements of African culture and tradition are still as pivotal to the storylines as they were in April 1997. New storylines seamlessly merged with Muvhango's ethos, and new characters like Pheko, Lufuno, Ndalamo and others formed part of the Mukwevho and Mokoena families. The family feuds between the Mukwevhos and Mukoenas now take centre stage inside Mukwevho Milling's boardroom, the family flour mill company that was formed through the proceeds of Mashudu's estate by his late wife Catherine. The two families constantly battle over the power to control the company which leads to lots of backstabbing and betrayal inside MM's offices and corridors. The Thathe village has also evolved over the years under Azwindini's leadership as a chief, with his two wives Susan and Pfuluwani. Thandaza's life of tragedy and suffering has also remained an endearing factor to viewers. Muvhango has also gone through major transitions and evolution of its core cast over the years. Some of the show's original cast members are still as much part of the deceit, treachery and drama of Muvhango now, as they were in Season 1. Cast members who have been with the show since Episode 1 are Sindi Dlathu as Thandaza, Murabeli Rasalanavho as Vho-Mukondeleli and Mahumela Mahuwa as Susan. Muvhango continues to tell the fascinating story of two branches of one family torn apart and how they battle to try and keep together through it all. It is about family values, and the strength of families holding together. The show has also remained true to its vision of telling the real African renaissance story and culture. Muvhango is produced by Word of Mouth Productions and has been executive produced by Duma Ndlovu since its inception. The original script was written by Ndlovu. The current Head Writer is Carol Shore, who has been Head of Department: Scripts since 2004. Kaizer Netshitangane and Ndivhuwo Mutsila have served as Muvhango's Venda cultural advisors from inception. Muvhango is off the planet...e shaya under carpet! Thandaza Is A Mean Cow! Cat fights and betrayal are rife! Susan drops a surrogacy bomb on Azwindini. Also: James is accused of attempted murder. Mpho goes for tests and the results cause her anxiety. Also: James gets a beating!